Active Aging Week takes place each year during the last week of September. The weeklong campaign calls attention to and wholeheartedly celebrates the positivity of aging today. It showcases the capabilities of older adults as fully participating members of society and spotlights the role models that lead the way. September is a big month for us, with two special weeks: National Assisted Living Week and Active Aging Week. This year we celebrated in excellent style. We dealt with the threat of a hurricane, but we weathered through! 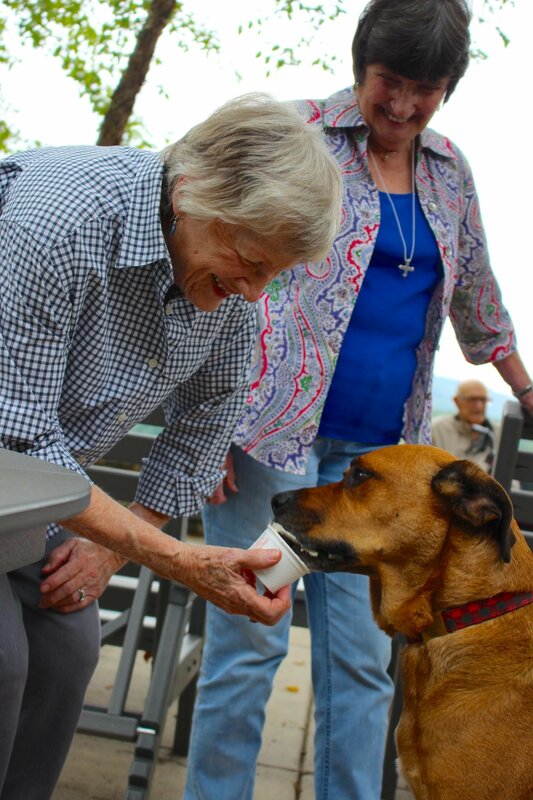 Residents and staff came together in downtown Asheville for our 4th Walk to End Alzheimer’s. The walk is held annually in more than 600 communities nationwide. It’s the largest fundraising event for the organization and raises money for awareness, care, support, and research. We loved the invitation to visit our local TV station recently! 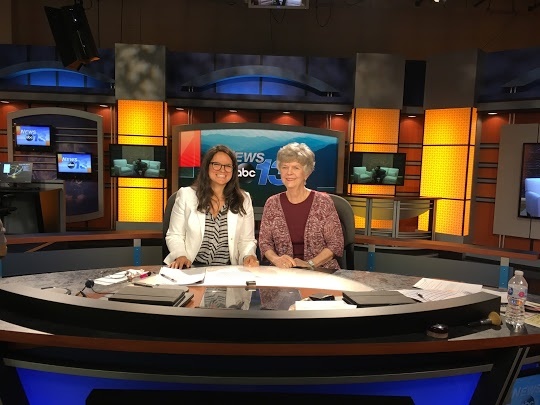 Our very own Sarah Marr and Roberta Martin were guests on WLOS Spotlight Carolina talking about our special community. Sarah and Roberta looked right at home after they filmed their segment. Join us for a tour and meet our team (and residents). Meet Kari Schrader, Ardenwoods Community Life Services Director. That’s a particularly fancy way of saying Fairy Godmother. Look closely and you may get to see her magic. She’s modest, calls herself a farm girl at heart from a long tradition of midwestern caretakers. Where in the world is Abingdon, IL? It’s a long way from Asheville, but Kari fell in love with the south while backpacking as a teenager. She chose Toccoa Falls College, a small college in northeast Georgia where she received her BA in Interpersonal and Organizational Communications. Has there EVER been a major so suited to an individual? !